Growing up across the river from the Cowessess Indian Residential School, Selma Marion was always jealous of the students there. The kids would always wear nice outfits, Marion thought. They would attend church together in a big group. “I always thought they had it good. Little did I know,” she said. Marion later worked at Service Canada and was involved in registering residential school survivors for financial compensation. The veil was lifted. Marion began to learn what really happened across the river — abuse, loss of language, neglect, removal from their families. She found herself wanting to know more. It led her to sign up for Project of Heart. 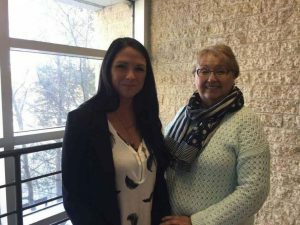 Project of Heart is national program, now its second year being offered at the University of Regina, about the history of the residential school system in Canada. “People learn together about the Indian residential school system. And they teach each other about that and then we commemorate the children and the people that went to those schools,” said Jenna Tickell, facilitator of Project of Hope. The group meets biweekly for seven weeks on Saturdays in a Luther College classroom on the U of R campus. The program isn’t lecture-based; instead, participants complete their own research and then come back and teach their classmates what they’ve learned. “I do have a presentation at the end of that where I teach them about the specifics that I’m sure they’ve already touched on,” Tickell said. Project of Heart was founded by Sylvia Smith while she was completing her university master’s degree. The idea behind it is to use an artistic approach to commemorate the people and families who were, or still are, affected by the residential school system in Canada. Tickell attended a guest lecture featuring Smith and heard about the program. Tickell herself wrote her undergraduate honours paper on the need for indigenous education to be introduced at an elementary school level. “I just saw the value in (Project of Hope) and there’s so many people that I know, my own age, older than me, that never got the education. So I want to reach as broad as I can to try and engage those learners and break that awareness,” she said. The program has each class learning about the history of a local residential school. Each participant then learns about a specific child who died while attending the school. The class also decides on an activism in which to participate throughout the course. Tickell doesn’t give the students ideas of what to do. They come up with it themselves. Last year the class became involved in a push for the municipal heritage designation of the Regina Indian Industrial School cemetery. 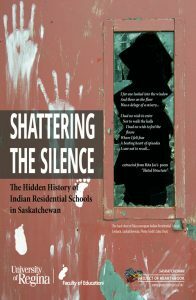 This year the group will once again learn about the Regina Indian Industrial School, though their specific activism has not been decided on yet.